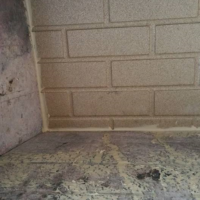 Thank you so much for the chimney cap. It really looks good. We like it. We hope you and yours have a blessed Holiday of Thanksgiving and Christmas. So great to see you again and we look forward to see you again in the fall. 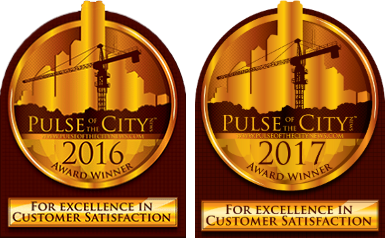 Just wanted to Thank You for your professionalism, expertise and promptness. 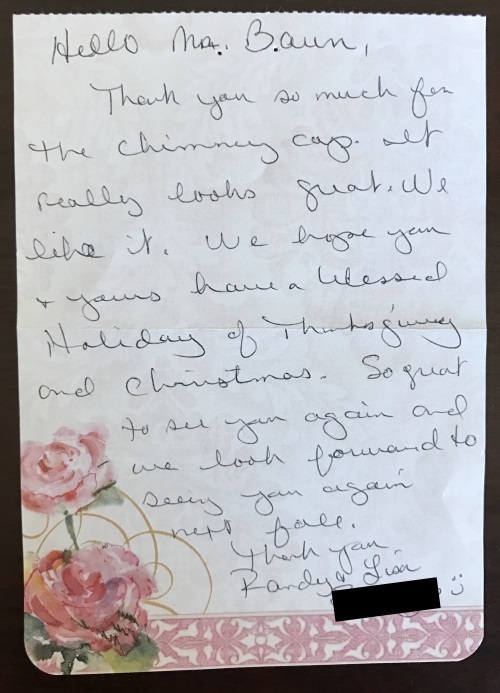 Thank you so much for working with our unique situation of being in a different state while needing chimney repairs. 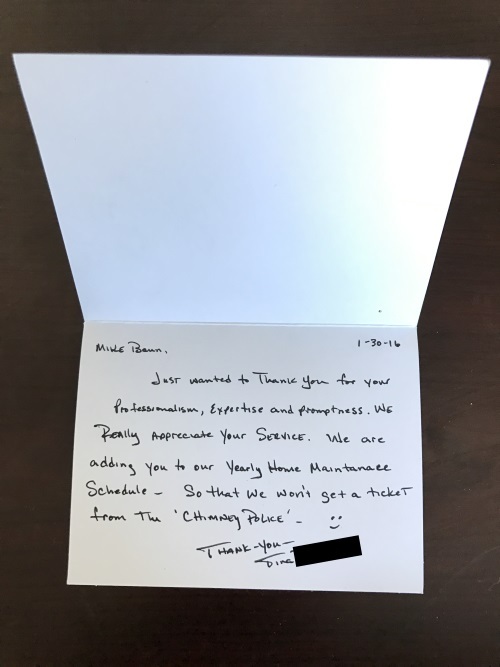 We appreciate your time, honesty and hard work. 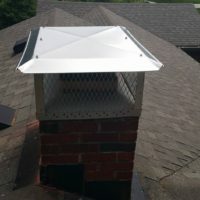 We had hail damage and needed our chimney cap worked on. Michael was very helpful, very professional and fixed us right up. I’ve recommended him multiple times now. 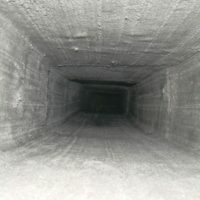 We were very nervous about getting a chimney inspection since we just purchased our home last year. 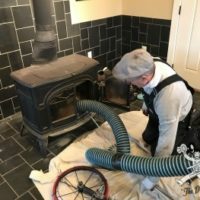 I won’t be getting my chimney touched by anyone but Michael from this point forward! 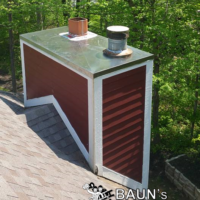 He was completely honest and showed us every detail of our new chimney! 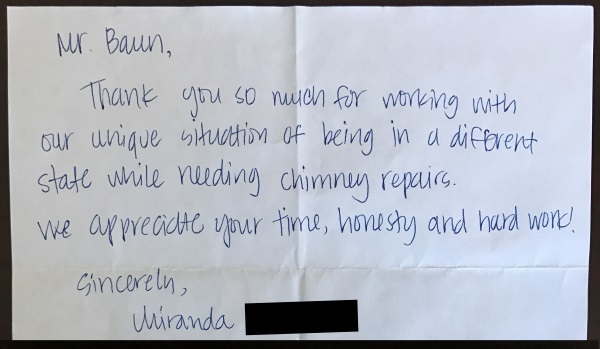 By the time he left we were both very happy to know that our chimney was in good shape and we had an honest person to call for the future. Services like this is hard to find!! Recommending to everyone I know! 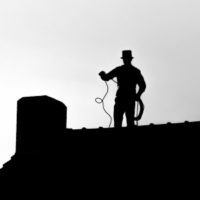 If you’re looking for chimney sweeping, inspection or repair, call (317) 627-3606 or email us through our contact form.